Our policy is to provide you a luxurious time with professional care in both beauty and healing. 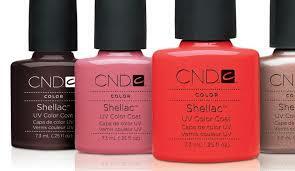 Like any quality polish application, the Shellac system features a base coat, color coat and top coat. Together with the use of a UV Lamp, they comprise the breakthrough in resilient colors that remains flawless for two weeks and removes in 10 minutes. • ZERO dry time – means there’s no need to wait to grab your keys at the end of your service. • No nail damage, because there are no drills or nail surface filing required. • Easy off in just 10 minutes with safe gentle remover Wraps. Can I remove my CND Shellac by myself? -To ensure the health of the natural nail, CND Shellac is a professional only service and only trained nail professionals should apply and remove CND Shellac. Calgel and BioSculpture gel products are used at this salon. These gels adhere to the natural nailbed just like nail polish. They are comfortable and maintain their color and shine for at least 3 weeks. They can be easily removed by soaking. 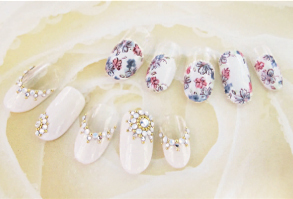 Calgel and BioSculpture gels are one of most popular gel nail systems in Japan. They are breathable gels that are used to strengthen damaged or weak nails. The best option for individuals with weak, thin, or brittle nails. 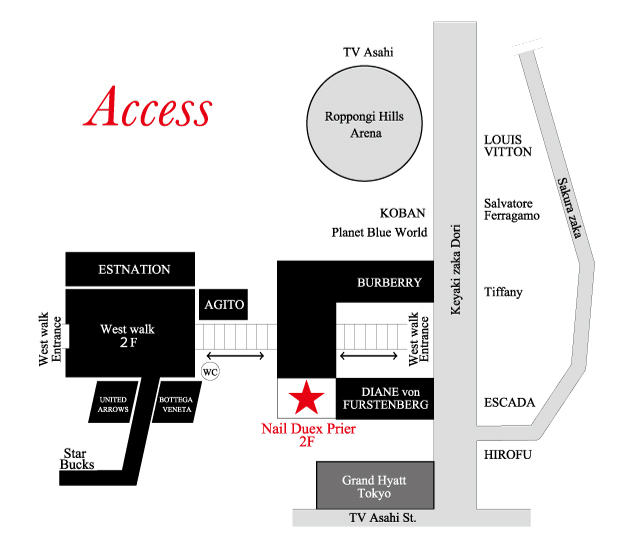 Please come and join us here at Nail Deux Prier. Enjoy manicure and /or pedicure service surrounded by our wonderful staff who are here to put a smile on your face. ★We have the V.I.P. room for those special occasions. Please call us in advance if you are late or need to cancel your appointment. © 2019 六本木ヒルズ Nail Deux Prier All Rights Reserved.